Before we were a soil company, Dirtcraft was formerly Symbiosis Design/Build, an agricultural contractor and consulting firm that specialized in greenhouse construction, rainwater collection and aerated compost systems. While we may have scaled down the number of construction jobs we take on, we continue this work today under the Dirtcraft brand as a way to better continue to serve our customers. Everyone loves to complain about the weather but nobody ever does anything about it! Greenhouses are a proactive way to control your growing environment, extending your growing season, reducing pest and disease pressure, and even allowing for year round production. We have been building quality greenhouses for many years for farmers, commercial nurseries, universities and arboretums. 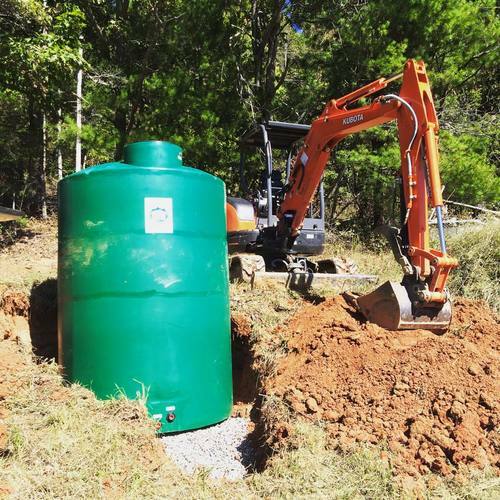 We provide turnkey solutions beyond the rainbarrel for rainwater catchment, filtration and end-use including gravity systems and off-grid applications. Symbiosis Design/Build LLC has trained and worked with industry leaders in the emerging field of rainwater harvesting. Let us help you design & install a water system that fits your goals. Most people associate composting with backbreaking laboring over flipping a compost pile, smelly odors and attracting pests. We take the processes and solutions from the industrial compost industry and scale them down to appropriate size for your farm or institution. Great solution for farms, animal operations, schools or anywhere that has organic waste; we can help you turn waste into high grade soil.